After 3 days of detoxing and the routine I’ve had, today has been the toughest. 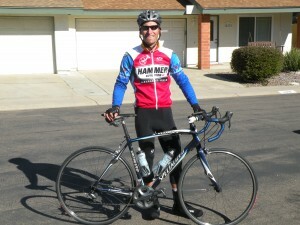 Thanksgiving has thrown a wrench in my eating, but also today was the first long ride, 42 miles, I did while detoxing. Over the past 3 days I get up, take my Rejuve Powder to start the day, and then I fall into my daily routine. Today I was up and on my bike at 7am and was out for 3 hours. So, when I got home I not only needed to get in my recovery drink, but the Rejuve Powder and the Red Clover/Scudder’s Alterative drink. I’m still liking the affects of the Supreme Cleanse Internal Cleansing Program thus far. My energy level and mental alertness have definitely increased of the past 4 days. I got to bed early last night and had a good night of sleep. I did wake up 4 times during the night to go to the bathroom, but luckily I’m a hard sleeper and was fast asleep after each time. I still have not had any bloating or nausea, but I did have a slight headache today. This was more because of my ride than detoxing in my opinion. Again, I will monitor this with 2 rides in the next 3 days. Snack #2 Detox: 30 drops Scudder’s Alternative & 30 drops Red Clover Supreme – Regular time before celebrating both of my kids birthdays. Approx. 150 oz of H2O. I had two decent size bowel movements before my bike ride this morning. My frequent urination was the same today, but it really didn’t pick up until a couple of hours after the completion of my ride. It takes my body some time to get hydrated after my rides and today was no different. About 10 minutes into my walk with Alisa I had to urinate something fierce. Unfortunately, there was no place to go where we were walking. By the time I got home I was about to burst and had my third bowel movement of the day. Thanksgiving Day was a huge success in my books. I feel like I ate properly, “never starving, never stuffed”, and even with my ride this morning I was able to consume all 5 detox sessions, this was a bit tough. I’ll need to work on this a bit more on my upcoming rides. Mid-day after our Thanksgiving meal I took a much needed nap. I have felt good most of the day. My increased energy was also noticed on the bike. All-in-all I am happy with how today has gone as well my energy levels overall. Until tomorrow have a fantastic Black Friday!